In 2011, flashes of inspiration made fundamental science at Emory seem almost easy. A hike in the woods sparked a breakthrough in number theory, while an episode of “American Idol” led to an insight about the human brain. Actually, it takes a certain brilliance to find big ideas hiding amid trees and reality TV. To paraphrase Louis Pasteur, whether you are an athlete or a couch potato, chance favors a prepared mind. Here’s a roundup of the hottest topics on eScienceCommons for 2011. New theories reveal the nature of numbers: For centuries, some of the greatest names in math have tried to make sense of partition numbers, the basis for adding and counting. The eureka moment finally occurred when mathematicians were hiking through the fall foliage in north Georgia and noticed patterns in the trees and the switchback trail. 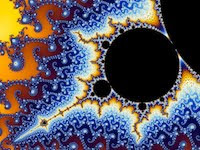 Partition numbers are fractal, repeating in an infinite pattern, they suddenly realized. Teen brains can predict pop song success: A neuroeconomist was watching “American Idol” with his two young daughters when a contestant started singing “Apologize” by One Republic. The song sounded familiar, and the scientist realized that he had used it in a study. That led to a re-analysis of brain-response data of teens listening to obscure songs. 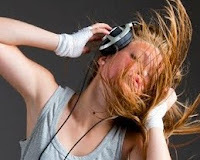 The results show that teen brain activity may help predict the popularity of music. 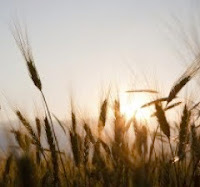 Dawn of agriculture took toll on health: Anthropologists confirmed that when populations around the globe started turning to agriculture around 10,000 years ago, regardless of the location or the types of crops, a similar trend occurred: The height and the health of the people declined. In modern times, the stature trend has reversed: The average human height is increasing, as food becomes increasingly commercialized and abundant. But is our health improving, in an era of obesity? Anxious kids confuse ‘mad’ and ‘sad’: Psychologists found that children suffering from extreme social anxiety are trapped in a nightmare of misinterpreted facial expressions: They confuse angry faces with sad ones. Non-verbal communication is a critical, but often overlooked, aspect of child development. The good news is that non-verbal communication skills can be improved at any age. Chimps, bonobos yield clues to social brain: It’s been a puzzle why our two closest living primate relatives, chimpanzees and bonobos, have widely different social traits, despite belonging to the same genus. 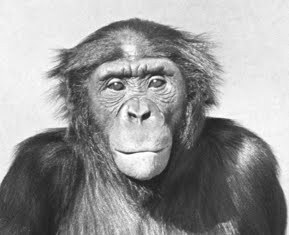 Now, a comparative analysis of their brains shows neuroanatomical differences that may be responsible for these behaviors, from the aggression more typical of chimpanzees to the social tolerance of bonobos. Chemists reveal the force within you: A new method for visualizing mechanical forces on the surface of a cell provides the first detailed view of those forces, as they occur in real-time. Mapping such forces may help to diagnose and treat diseases related to cellular mechanics. Cancer cells, for instance, move differently from normal cells, and it is unclear whether that difference is a cause or an effect of the disease. Hominid skull hints at later brain evolution: An analysis of a skull from the most complete early hominid fossils ever found suggests that the large and complex human brain may have evolved more rapidly than previously realized, and at a later time than some other human characteristics. While some features of Australopithecus sediba were more human-like, most notably the precision-grip hand, the brain was more ape-like. Biochemical cell signals quantified for first time: Just as cell phones and computers transmit data through electronic networks, the cells of your body send and receive chemical messages through molecular pathways. The term “cell signaling” was coined more than 30 years ago to describe this process. Now, for the first time, physicists have quantified the data capacity of a biochemical signaling pathway and found a surprise – it’s way lower than even an old-fashioned, dial-up modem. Mummies tell history of a modern plague: Mummies from along the Nile are revealing how age-old irrigation techniques may have boosted the plague of schistosomiasis, a water-borne parasitic disease that infects an estimated 200 million people today. An analysis of the mummies provides details about the prevalence of the disease across populations in ancient times, and how human alteration of the environment may have contributed to its spread. Polar dinosaur tracks open new trail to past: Paleontologists discovered a group of more than 20 polar dinosaur tracks on the coast of Victoria, Australia, offering a rare glimpse into animal behavior during the last period of pronounced global warming, about 105 million years ago. The discovery is the largest and best collection of polar dinosaur tracks ever found in the Southern Hemisphere.